The SIGNA Premier is a wide bore 3.0T magnetic resonance imaging (MRI) system that delivers a new level of performance with research-focused clinical capabilities designed particularly for neurological and oncology research and clinical work. This system is built on a platform with a short-bore, high-homogeneity magnet; powerful new gradients; a new digital RF transmit and receive architecture; and cutting-edge applications, including cloud analytics. SIGNA Premier is powered by the innovative SuperG gradient technology to improve diagnostic confidence for clinicians. 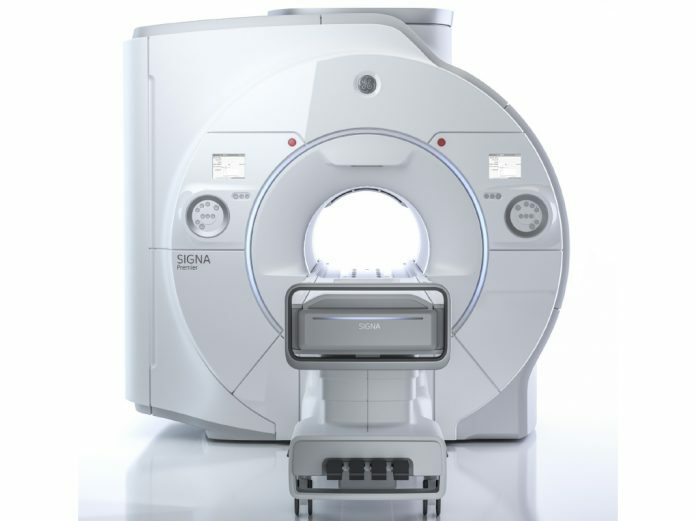 The SuperG gradient coil introduces outstanding performance and superb stability, which is designed to deliver the performance of ultra-high-performance, research-class 60 centimeter MRI system in a 70 centimeter bore MRI.